This clock is one of the few clocks featuring large background trees. The trees are behind the actual clock and form an impressive scenery for the clock. 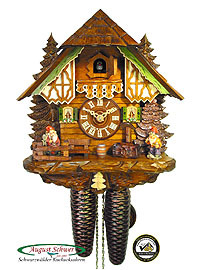 The theme of the clock is the typical German garden gnome, which is very popular all over Germany. All figurines and decorative elements are made of wood and hand-painted. Another eye-catcher is the thatched roof. 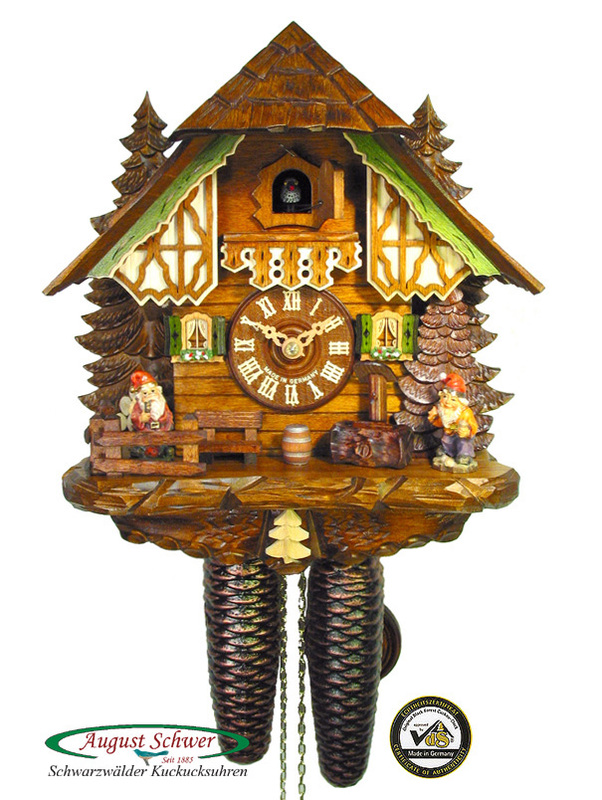 It is fashioned after the real Black Forest farm house roofs, unevenly thatched by hand.